Hear Your Bog: Really Cool ! Hi Folks, so far you've just read my blog. Right now, you can hear it and doing something else ! A new pop-up window comes out and a robotic voice will read the clicked post. I just wanna say thank you VozMe ! DecaffeinatID: small and fast IDS. 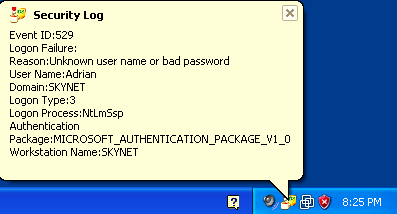 HI folks, I discovered this tool during a Windows PC configuration for a man. He wanted use his own PC in coffe bars and in a public places using WiFi technologies. He has worried about security because he known something about wireless' (in)security. So surfing on web I discovered this extremely easy, fast and lite IDS (or maybe it's better to say: "LOGS watcher" ) called DecaffeinatID. 1) Arp Watcher. 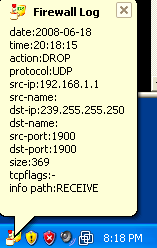 It looks inside the windows ARP table and alerts you when the mac address of your gateway change. 2) Security Log's Watcher. If someone is attempting to your host security, fighting whit the host's security policies, the Security Log will change and DecaffeiatID sends an alert to you. 3) Firewall Log's Watcher. Agin, if something strange happen, where strange means against your firewall rules, it's able to look into firewall logs showing up what's going on. 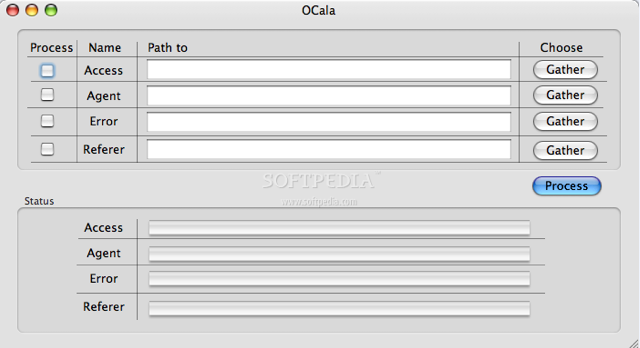 I'm glad to have founded that software, I know it's not complete and powerful such snort (or similar) but it's really fast to use, pretty much intuitive; to configure-it look here, and light for the system resources. Hi Folks, I know this is not a security stuff, but it's so funny ! Ok, lemme say the question is: " how to explain what is a blog to your grandma ? ". How you gonna explain to her in a conventional way, term that can easily make her understand? Common Craft has came out a video that help you to explain what is a blog to your grandpa ..
Others have just a horrible text interface but can analyze different kind of logs from many applications. Today I wanna point out LIRE, one of my favorite log Analyzer.This tool permits the creation of several reporting formats, including html, pdf, xml, .. ... .. ect. ect.. It also permits to analyze many log file formats, which include MySQL, Iptables, BIND, Apache, Qmail, Postfix, Syslog and more. It has been deveploped in Perl and I recommend you to install all the dependence modules with CPAN (type "perl -M CPAN -e shell" on the command line as root). Last but not least remember the machine which logs must be able to receive message from the LAN, so if you've set up some iptables, look out. SQL injection will be more and more easy ? Yes folks, I think the title of this post is right. Do you need a physical IPS ? Would you like to sleep stressless ? 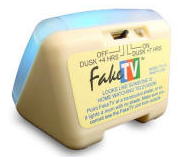 Maybe this is a good tool for you .. .. .. .. directly from FakeTV a true Television (light) simulation. Is Data Loss Prevention Really Possible ? today I'd like to suggest this interesting short article. Could be possible to prevent what you don't know ? That's amazing ! !